Fast forward a week, a month, a year … or even two. Life isn’t quite like you planned it. Yes, you love your dog or cat. And your pet loves you. You are creating wonderful memories together. You are experiencing the highs and lows of living together. The highs are like you see in the movies – a master with the ever faithful companion. And the lows … well, there is just no describing how doggone low it gets sometimes. Instead of being served, it seems like you do all of the serving. Don’t you get tired of being the one who has to always supervise your dog or cat? Wouldn’t you love to have a little down time … no slobbering, barking, jumping, or clamoring for attention? Are you are afraid your pet may run off, get lost, hurt or even killed? I am sure you have heard the horror stories from someone you know. You may even have one yourself! Imagine a world where you let your pet run free in her yard … not your neighbors’ yard, but your pet’s yard! Free to explore! Able to breathe fresh air! Able to run and frolic and exercise. Your pet is safe and happy! And you always know where your pet is. Imagine a world where you are no longer your pet’s personal servant … you are happy! Where you are not being dragged around on a leash. Where your pet takes herself out late at night. Or early in the morning. In the rain or snow. Where you are not constantly on patrol, cleaning up mess after mess. Imagine a world where you have more free time … and a lot less stress. A world where you can drink a cup of coffee and let your pet out in the morning. Where you can enjoy quality time … happy time with your pet. You know your pet enjoys this quality time as well. After all, isn’t this what she lives for? Can’t you see it in your pet’s eyes? You started the process to a better life for you and your pet by coming to this website. That great world is only a phone call away.You can make it happen! And a fence for dogs by Contain-A-Pet Electronic Pet Fencing can help you … It’s guaranteed! The industry’s only one year pet containment guarantee or your money back! 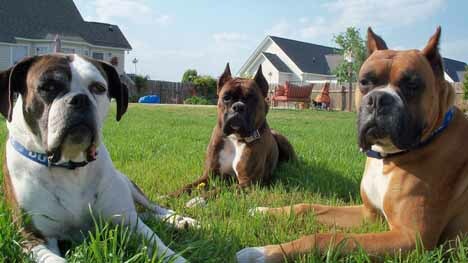 We are so confident that your pet will be contained in your yard we will give you a one year pet containment guarantee. ** If we can’t contain your dog or cat, then your Contain-A-Pet dealer will refund the full purchase price of your electric dog fence system! You don’t have to take our word for it, thousands of pets are safely and happily contained in their yards. We safely contain dogs, cats, even goats and pot bellied pigs. We are working on an underground fence for horses as we speak. But Contain-A-Pet is the only “True Professional Pet” company. Contain-A-Pet is the one and only Pet Fence company in the industry that gives such a guarantee. Invisible Fence TM comes close. But they do not refund the labor portion of the purchase price if the pet is not contained. We offer the guarantee for one reason only. 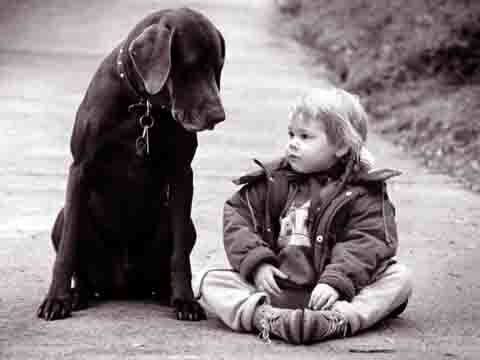 We know that the combination of our expertise and your love for your pet we are going to contain him or her. If your pet is the one in more than a thousand we can’t contain, we will give you every single penny back of your original purchase. We have an ace in the hole. Contain-A-Pet’s background is in pet behavior. We were founded by professional dog trainers that spent the early years of the pet containment industry (representing Invisible Fence tm in the late 80’s) studying pets and working with pet behavior. We knew there was a more effective way to train pets. We customize each pet containment system training program based on your pet’s personality and temperament. FACT: Did you know that dogs need physical and mental stimulation as well as good nutrition to lead healthy and happy lives? Lean, athletic dogs live longer than inactive dogs. Digestion improves, elimination becomes more regular, dogs become less achy, circulation creates blood flow through the heart and lungs. Everything is better. Sounds a lot like people doesn’t it? I am not saying owning a Contain-A-Pet Pet Containment System will provide all the exercise that is needed for your pet. But, I am saying that the added physical and mental stimulation of being outdoors will improve your dog or cat’s life significantly. No animal should be cooped up inside all day, placed in a kennel or even kept on a chain if it can be helped. I am sure you feel the same way. It’s a safe bet your pet doesn’t want to be jailed either. Training is the key … And It is Quick and Easy! It’s all about training or conditioning. All you need is 10-15 minutes a day for a week. I bet you spend more time than that chasing and cleaning up after your pet. Add up the minutes. It’s not much of a time investment for what you and your pet get in return. Freedom! Just follow our Contain-A-Pet Fence Dealer’s recommendations for training and maintaining your Contain-A-Pet fence. Your Dealer has designed your training program based on your pet’s personality. If you have any questions, just call. That’s what we are here for. In about a week you will both be enjoying freedom … and it will feel terrific! Providing electronic dog fencing to Philadelphia and southeastern PA.